20 applicants will receive acceleration services and will be financed with up to €223,000 in equity free cash. The robotic solutions participating in RobotUnion will take part in the digitalisation of the European Industry, as part of the framework of the Horizon 2020 programme and the Digital Single Market of the European Commission. 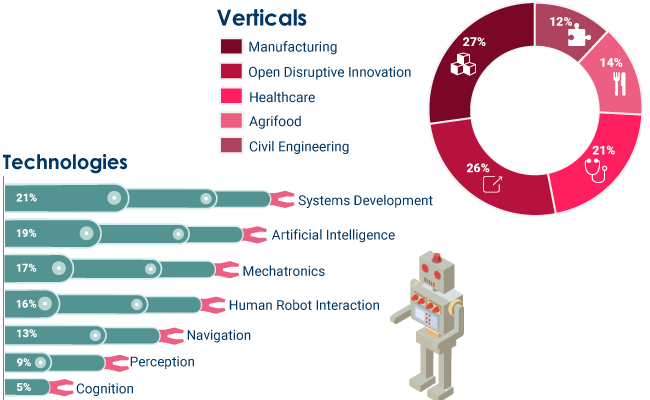 The area of manufacturing has attracted most of the applications, followed by open disruptive innovation, healthcare, agri-food and civil engineering. RobotUnion is the first remote European acceleration programme entirely focused on robotics startups and SMEs, which counts on funding from the European Commission’s Horizon 2020 research and innovation framework. 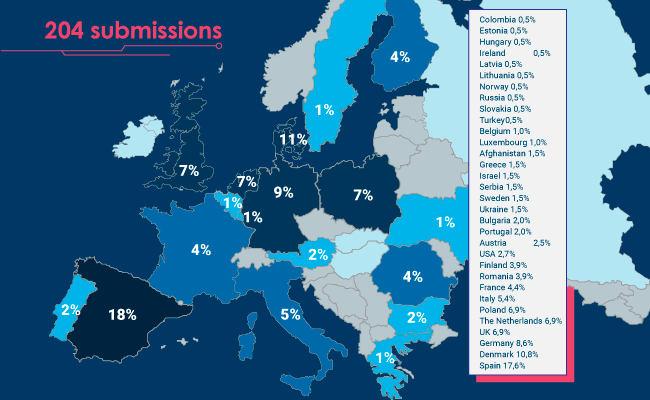 The first call of this programme closed this month with 204 application submissions from 32 countries. The highest concentration of participants was in Spain (18%), followed by Denmark (11%), Germany (9%), The Netherlands (7%), UK (7%), Poland (7%) and Italy (5%). The EC started to focus their policy-making on the digitalisation of the European Industry, driven by different technological innovations in areas such as IoT, robotics, cloud computing and big data, among others. The revenue of digitalisation services in Europe is estimated to reach €110 billion in Europe annually, according to the EC. This project aims to respond to societal and industrial needs in the landscape of technological solutions for 5 verticals: agri-food, healthcare, manufacturing, civil engineering, and open disruptive innovation. The last category is for applicant innovations that go beyond the proposed fields. At the forefront of the applications are automated drones and other UAVs, as well as agribots for crop protection and automation for smart farming and agriculture. Social robots and exoskeleton solutions trend in the healthcare vertical. Some of the proposed solutions for manufacturing are robotic arms, grips and accessories, as well as transport and delivery of items. Submission examples for civil engineering are assistants for the construction of buildings or city monitoring through automation for aerial vehicles. Software solutions for the programming and repairing of robots and robots for exploration can be found as open disruptive innovations. The technologies used by these startups and SMEs focus primarily on systems development as well as on artificial intelligence, mechatronics and human-robot interactions. 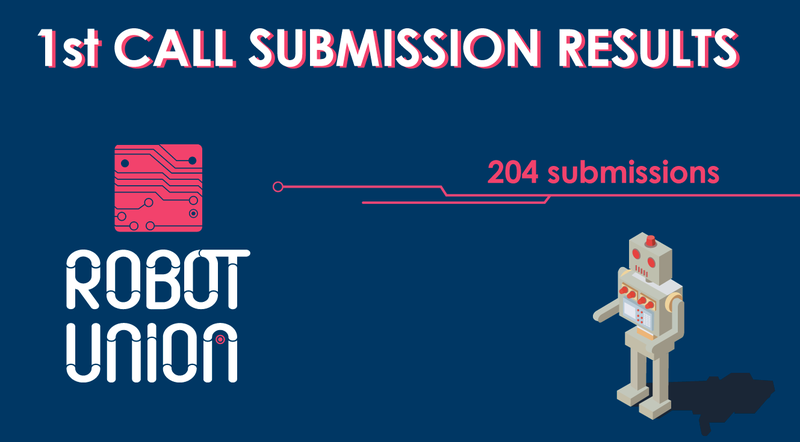 The 20 winners that will participate in the feasibility study and initiate the first acceleration programme of RobotUnion will be announced after a face-to-face and pitching process, which will take place on 13 September at Tecnalia Headquarters in San Sebastian (Spain). This Jury Day will consist of a live technical and non-technical capabilities validation process for the highest ranking candidates. The winners may get up to €223,000 equity free and the 4 best startups will receive support from RobotUnion’s investment partners: CHRYSALIX, ODENSE SEED AND VENTURE and BLUMORPHO to raise around €1M of private financing. FundingBox will be supporting the public funding. The RobotUnion acceleration programme will be active during the next three years, the second and last call for startups and SMEs is expected to open in the spring of 2019. The project, led by FundingBox, is supported by the collaboration of 14 entities from 7 countries, which provide researchers and top business professionals who will fit the needs and guide the selected scaleups. The 12-month online premium acceleration service of each RobotUnion’s call will be composed of boot-camps, networking events, business and investment mentor sessions, in order to help scaleups from a technical and non-technical point of view. The business acceleration is managed by ISDI and will incorporate high-level business mentors from IMPACT Accelerator. It has invested over €14 million in 77 startups from 2014 to 2017 and has recently been named among the global top ten in Gust’s Global Accelerator Report. Research and Technology Organisations in the consortium will provide technical and technological support as leading R&D institutes in robotics in Europe: VTT Technical Research Centre of Finland, Danish Technological Institute, TU DELFT, TECNALIA and PIAP. Participants have the chance to have direct contact with leaders of the agri-food, healthcare, civil engineering and the manufacturing sector through the participation of organisations including MADE, Ferrovial Servicios, ARLA Foods and FENIN. The project will be presented at DLD Tel Aviv 2018 between 4-6 September and during Mobile World Congress Los Angeles, 12-14 September, represented by Mobile World Capital Barcelona.